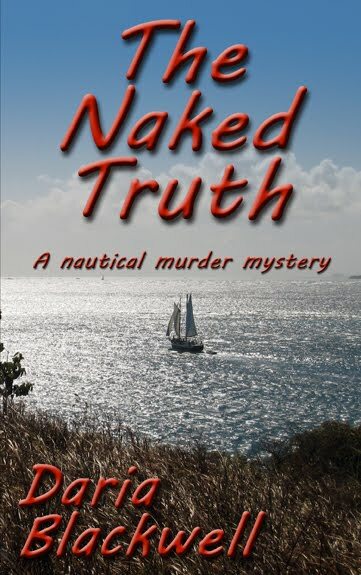 Division of Knowledge Clinic Ltd.
14 February 2017, Westport, Ireland: White Seahorse is pleased to announce the release of The Naked Truth - A nautical murder mystery. It is Daria Blackwell’s first novel. She is the co-author of several previous non-fiction works. The story begins with Xander and Jessica anchored in the Canary Islands. They had sailed off in search of adventure. Sailing across oceans on their own boat was exactly the kind of restorative voyage the Lynches craved. They quit their high powered jobs, sold their house, and cast off the lines. When Jessica witnesses a series of murders in exotic settings, their adventure sets her on the course of a murder trail. On finding no evidence – no bodies, no signs of struggles – their quest to answer unasked questions begins. Tormented by helplessness, Jessica experiences bizarre dreams within which lay the clues that evaded the professionals. They embark on a convoluted course to uncover the naked truth. The Naked Truth is set in the Atlantic Islands and the Caribbean. The description of crossing oceans as a lifestyle is based on the author’s experience. Everything else is fiction. 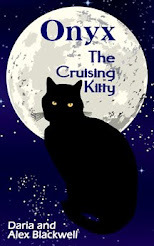 Daria Blackwell is the co-author of two critically acclaimed non-fiction books Happy Hooking - The Art of Anchoring, Cruising the Wild Atlantic Way and Onyx, The Cruising Kitty. 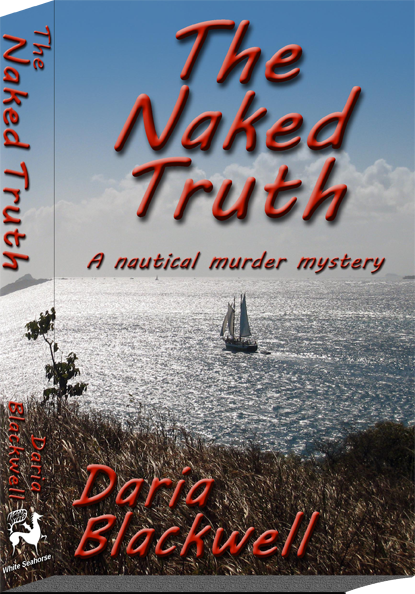 The Naked Truth is her debut novel, a murder mystery set in the midst of sailing adventures. She has written numerous articles for sailing magazines and websites on both sides of the Atlantic. Daria is a USCG-licensed captain with three Atlantic crossings and a year’s sabbatical sailing in the Caribbean to her credit. In a former life she was a scientist, a science writer, a creative copywriter, a strategic planner, and a top level executive in marketing and communications firms. She is the author of several publications on cultural competence. A dual citizen of the US and Ireland, Daria has taken on a mid-Atlantic mind set. 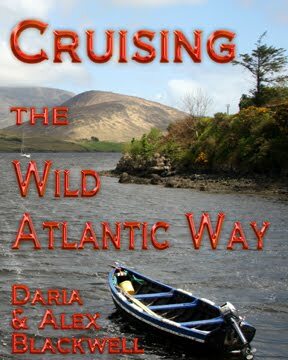 Follow her blogs at http://dariablackwell.blogspot.ie/ and http://aleriasadventures.blogspot.com/. White Seahorse (www.whiteseahorse.com) is a division of Knowledge Clinic Limited based in Westport, County Mayo, Ireland (www.knowledgeclinic.com). White Seahorse is dedicated to providing information, products, and consulting, marketing and communications services to the marine leisure industry. 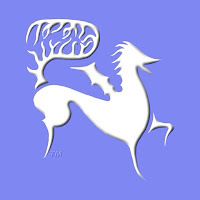 White Seahorse’s publishing arm provides support for independent authors who self-publish. High resolution art is available from ablackwell@knowledgeclinic.com . Booksellers interested in carrying any of the White Seahorse titles should contact ablackwell@knowledgeclinic.com. They may also order directly from CreateSpace.com. For more titles, visit http://www.whiteseahorse.ie. Soon to be released: Self-Publishing for Success, Every book deserves to be published.